Posted in Bernie Sanders, Donald Trump, Entertainment & Leisure, Hillary Clinton, Politics. Tags: Bernie Sanders, Bill Clinton, Donald Trump, Hillary Clinton, James Comey, Russia, Shattered. RSS feed for comments on this post.. TrackBack URL. She wasn't "the popular vote winner", she got 48%. 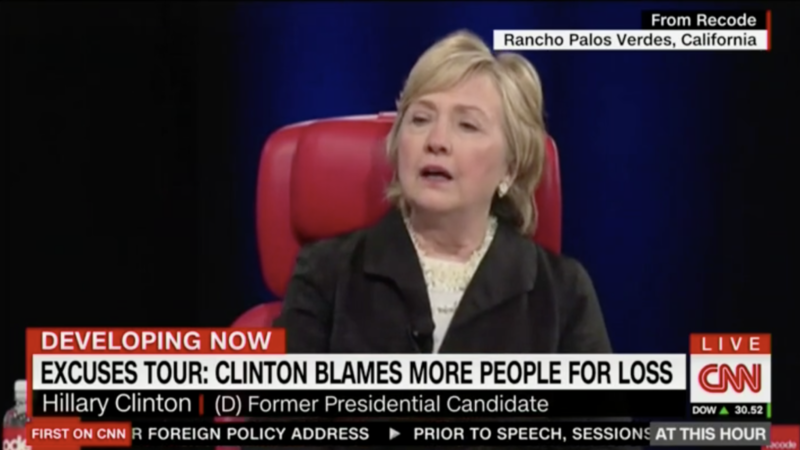 In response to the question posed in the link here from BPI Campus, Clinton would have a better chance of writing something which her critics would applaud if she was not constantly lying trying to undermine liberal viewpoints–as she has done throughout her career.